Following the peace deal, and South Sudan’s breakaway in 2005, hostilities in Sudan briefly ended. However, new conflict in the area has displaced millions of people. At the end of 2017, there were nearly 3.3 million internally displaced people and 772,000 registered South Sudanese refugees in Sudan, as well as many migrants in transit to Europe. Médecins Sans Frontières has been working in Sudan since 1979, and following the split between Sudan and its Southern counterpart, has continued to assist displaced people, carry out vaccination campaigns, and support local medical infrastructure. Many refugees arriving at border crossings are severely dehydrated and in need of emergency medical care. 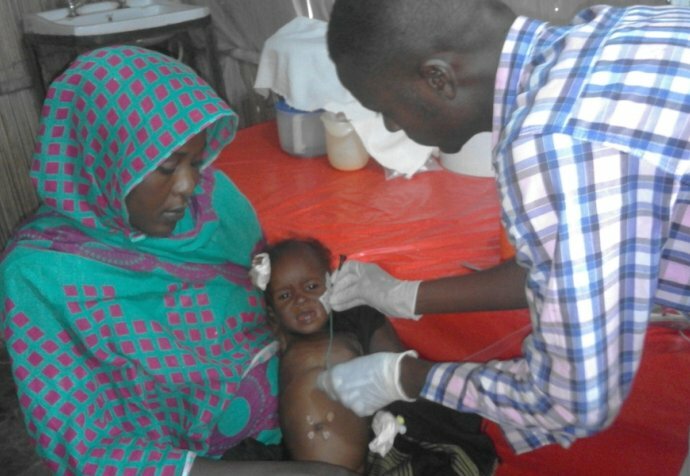 MSF staff provide medical care and surgical services to displaced peoples in various Sudanese regions. Teams distribute relief items, improve water and sanitation, malnutrition screenings, and support intervention campaigns targeting diseases such as dengue fever through case management, vector control, and active surveillance. The cramped conditions and a lack of toilet facilities in refugee camps increases the risks of measles and gastrointestinal infections. 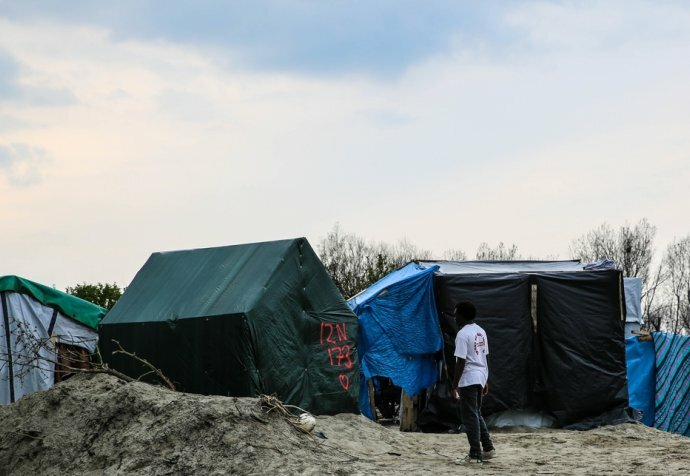 MSF teams have focused on improving sanitation and hygiene in the region’s camps by constructing latrines, as well as running community health promotion activities. The availability and purity of the water is a constant concern. The daily minimum amount of water needed for survival, per person, is 2.5 litres. Camps in Sudan are rarely able to offer more than a litre of water per person, per day, putting refugees at further risk of dehydration and related health issues. The supply of sanitation, shelters and non-food items (including plastic sheeting, and cooking and cleaning utensils) is not meeting demand. By far our biggest cause for concern is the sanitation and hygiene in the camp. People live so closely together and there aren't enough toilets and latrines. They are openly defecating near their shelters and those of their neighbours. MSF teams contribute to the upgrading of the sanitation standards with the construction of latrines, as well as organising community health promotion activities, with the aim of increasing the awareness on health behaviour. In East Darfur, MSF is working in Kario refugee camp, which hosts some 20,000 refugees from South Sudan. Teams coordinate outbreaks, and organise vaccination campaigns against communicable diseases such as measles. Tawila, in North Darfur, is home to almost 75,000 internally displaced people. MSF teams provide much-needed support in the overwhelmed health facility where malnutrition, diarrhoeal diseases and malaria are the common referrals. Sudan has the highest rate of kala azar (visceral leishmaniasis) in East Africa, nearly 70% of national cases are concentrated in Al-Gedaref. This parasitic disease, which is transmitted by sandflies, has a 95 %mortality rate if left untreated. MSF provides free diagnosis and case management support to hospitals in this region, organises awareness-raising activities in the community, and conducts training for local health professionals. In Al Kashafa,MSF's hospital functions as a referral point for other camps, and it has the only nutritional stabilisation centre in the area. The most serious medical cases are referred to Kosti hospital, 80 kilometres away. Nearly half of all consultations are for local people living around Al Kashafa camp, which includes the host Sudanese community and refugees from the camps. Before MSF arrived, the local community had very few alternatives when it came to medical care and the MSF hospital has become a point of reference for the local population as well. MSF aims to encourage the local population to seek out professional medical care, rather than relying on traditional medicine, by providing free medical care.